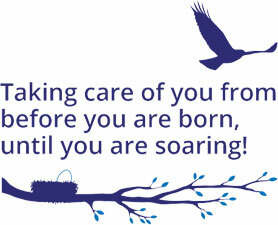 At Little Bird, we are bringing the natural rejuvenating and calming outdoors, inside. From warm colours, to full size trees, live slab wood tables, and a waterfall feature. Creating a welcoming environment where our patient families will feel cared for and at home. The practice is fully accessible, fragrance free, and with ample free parking. We are a baby friendly practice, with a cozy reading corner, rocking and sound shell chairs, and accessible washroom with change table. For new parents and those nursing, we are breastfeeding friendly. If privacy is desired, we have special rooms each with unique natural calming features. 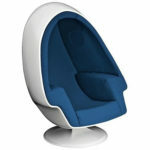 A Flaghouse Snoezelen® soft cushioned chair that incorporates music and vibration. The shape and construction make it perfect for both sound isolation and acoustics. Its chamber-like shape and upholstered interior cancels out most outside noise, providing a unique environment for meditation and relaxation. As we are pioneering the integration of Snoezelen® with healthcare, there are many multi-sensory items throughout our practice including tactile tiles, bubble tubes, and spaces where we can customize many additional features to each patient’s unique needs. Our goal is to provide compassionate, personalized care to each and every patient. Treatment provided in this room may include (but not limited to): New patient exams, consultations, check-ups, preventive care (i.e. cleanings, fluoride, etc. ), myofunctional exercises, and/or simple restorative/operative treatments. A Flaghouse Snoezelen® product that allows for the creation of imagery, sound and color coordinated themes for learning, therapy, reminiscence, relaxation and more. With the various themes to select, we can customize to each group or individual and transform the space into an ocean scene, gentle snowflakes falling, to a calm afternoon at the rainforest. The possibilities are endless! 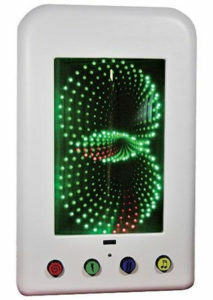 A Flaghouse Snoezelen® interactive panel that features over 40 different light effects! The panel has a large accessible push buttons, making it easy to use for people of all ages and abilities. Good for tracking, hand/eye coordination and anticipation.